The Economic Community of West African States’ Mission in The Gambia (ECOMIG) is withdrawing some troops as it implements a new mandate that began on 21 February. 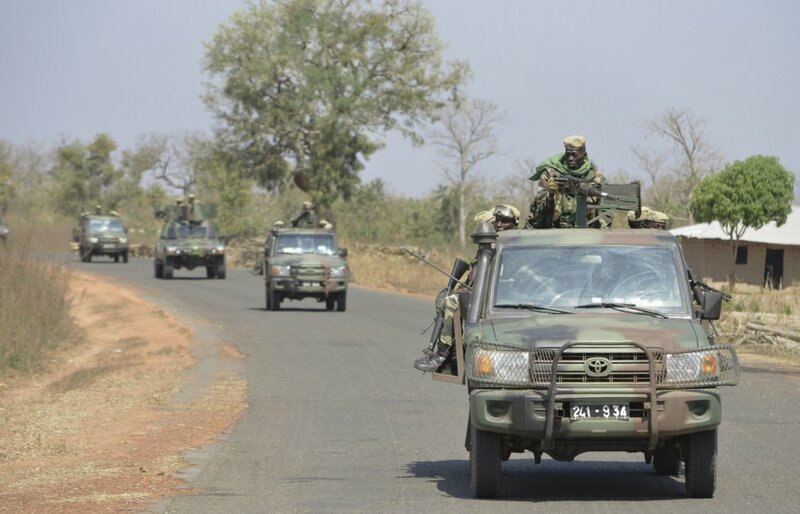 The drawdown officially started on 19 February, although the Nigerian Air Force assets and personnel deployed to Senegal to support the mission began returning as early as 2 February. The Senegalese military has nearly completed the process of withdrawing naval vessels that took part in the blockade of The Gambia and aircraft that were deployed to Banjul, according to an ECOMIG spokesman. A Senegalese military source told Jane’s that the new ECOMIG will have 500 troops: 250 Senegalese (including 125 gendarmes), 200 Nigerians, and 50 Ghanaians. The number of troops in The Gambia remains higher, but the drawdown process should allow the force to reach its new troop level soon, the ECOMIG spokesman said. Major General François Ndiaye, Senegal’s chief of Army Staff, currently remains the commander of ECOMIG, although a new commander is expected to be appointed for the smaller force, the spokesman noted. The spokesman added that the force is expected to remain in The Gambia for another three months with a mandate that includes protecting the country’s new president, providing security for government officials and state institutions, and facilitating the development of a functioning relationship between the new government and its defence and security forces. He said ECOMIG troops will be deployed throughout The Gambia’s territory. While he declined to detail the areas where they will be positioned, he said they would be present in Kanilai, the birthplace of former president Yahya Jammeh.